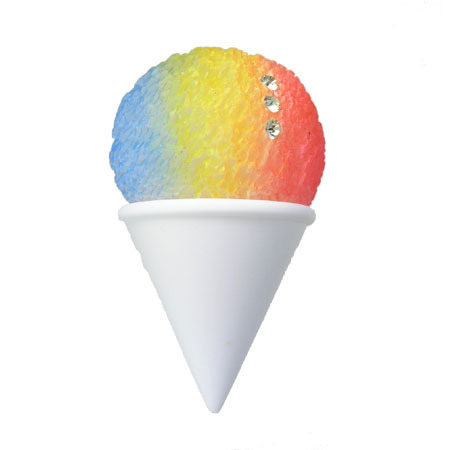 Shave Ice, the name it goes by in Hawaii, or Snow Cone, what it’s called in the continental United States, should probably be called “Brain Freeze in a Cup.” Ours are safer to enjoy. Shipped in assorted “flavors” including the traditional tri-color. About 2.4″ high.